The Union Finance Budget 2012 is out, & it is really kicking us jewelers out of business. 2% Custom Duty imposed on Precious Gemstone (Rubies, Emeralds, Diamonds & Sapphires) as well as semi-precious gemstone. Consumer Tax imposed on jewelry items. Import duties increased (almost doubled) on Platinum, Gold & Silver. To combat against these impositions, specifically the excise duty & 2% custom duty on all Gemstones, GJF has called for a national level all-jewelers strike for 3 days, March 17, 18 & 19, 2012. This is the biggest known strike by the jewelers of India. 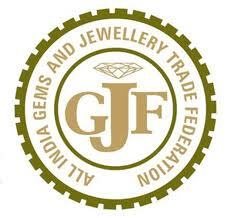 In support of GJF (as a member & a jeweler) our stores in Jaipur shall remain closed till March 19, 2012. If you are an Indian jeweler & reading this, GJF requests you to close your store on March 17, 18 & March 19, 2012 so the Government may rollback the proposed duties. I apologize for the inconvenience caused to our customers, but it is important for these duties to be rolled back for the welfare & growth of the gem & jewelry industry in India. SAKET(Faizabad)SARRAFA ASSOCIATION organising candle march today in Faizabad(U.P.) from Chowk at 6:00pm against Fin.Budget2012. JAGDALPUR (c.g) Sarafa association organised a candle march today and organised a realy and protest in which M.p of bastar and Bastar chamber of commerce president and its member joined the candle march. There is protest all over India, including Karnataka. In fact our former GJF Chairman is also from Bangalore.In fact, over 20,000 jewelers are on a hunger strike today! RAHUL BARMAN: every jewellers is going for strike from last few days but here in durgapur no one is doing anything to support you. please do something. durgapur is not going for strike from last 8 days. they are not supporting us. there is protest all over india including arrah in fact our former gjf chairman is also from bhojpur all jewellers are on a hunger strike .agaist govt.s excise duty tax. Patliputra sarafa sangh,PATNA, BIHAR had organized a candle march on 29th Mar,2012 protesting against Excise Duty and Consumer Tax. Thank you for the update Mr. Vikas. Please let me know the latest updates from Jagdalpur on this strike. P.S. 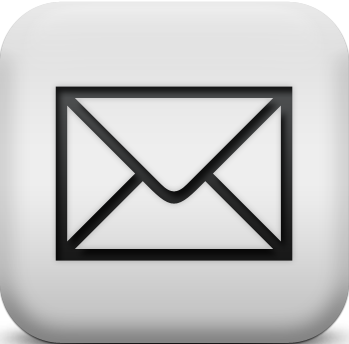 : The Government is expected to roll back the duties in the 1st week of April. Thank you for the update Mr. Hrishikesh. Please let me know the latest updates from Jagdalpur on this strike. P.S. : Let us continue our effort until the duties are rolled back. Thanks for the update! Even complete Gem & Jewelry business in Jaipur is closed in protest. Please update me on any new happenings at your end. P.S. : Let us not relax now but continue our effort until the duties are rolled back. I do not believe so because I received a confirmation message from GJF saying that the Kalyan Association is also on Strike. Please update me on any new doings at your end. I am not sure because most of the jewelers in the country are on strike. But if those in your locality are not, we cannot help it, they are just looking at their selfish reasons rather than the good of (their own) & the jewelry community at large. That is sad. How can people be so selfish? increase in excise duty on non-branded ornaments. but here no information so wt we do ?? the Madanganj area in Ajmer. submit the memorandum to Pilot.